HT to Spencer Banzhaf for pointing us to this article that points out that Exxon was less than objective in their attacks on contingent valuation in the wake of the Exxon Valdez oil spill. I wonder if the same can be said for BP after the Deepwater Horizon? Indeed, I wonder. 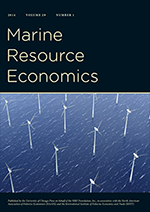 This paper examines consulting and expert work performed by (experimental) economists for the Exxon Valdez litigation case. One of the issues at stake was the use of a specific method, contingent valuation, to estimate the so-called passive use value part of the damage resulting from the Exxon Valdez oil spill of March 24, 1989. Our interest is less in the possibilities of using contingent valuation to estimate passive use values as such, and more in the dynamics of consulting and expert work itself, which in litigation cases mostly remains hidden behind the veil of contracts. Because Exxon went explicitly public in the Exxon Valdez case, this veil can be partially lifted. In contrast with Public Trustees, who submitted a monetary damage estimate to the Court, Exxon decided to follow a radically different strategy: it organized an all-out assault on the method by which such a monetary estimate was most likely to be produced. That strategy cut across social and epistemic commitments of different segments of the economics discipline, raising questions about the different meanings of expertise, and the role of economists in the legal, business, and public domain. This paper aims to address these questions.